This week Barack Obama was re-elected president of the USA. JAA doesn’t normally drift into political waters so I will just briefly say I was pleased and relieved that he will serve for a second term. Michelle Obama is highly intelligent, extraordinarily articulate, and blessed with a preternatural ability to connect with people; for those reasons it seems a bit shallow to obsess about what she wears. But I do: she is one of my style icons. I am avid follower of Mary Tomer Byun’s blog Mrs.O and I always enjoy reading Vanessa Friedman’s (fashion editor of the Financial Times) take on political dressing (see here what she said about Mrs O’s choice of dress for election night). Mrs Obama has reinvented the catechism of acceptable attire for First Ladies in an extremely stylish way and in the process has given many young designers otherwise undreamed of exposure on the world’s fashion stage. This week, well yesterday actually, I was in town and I popped into Cleo a shop on Dublin’s Kildare Street that stocks Irish clothing – mainly hand-knits. As I looked around, the Cleo owls caught my eye and I had a brief debate with myself as to whether or not to buy one and regretfully decided against, reasoning that the owls fell into the category of want and not need. Later in the day when I stopped to have a coffee I noticed as I flicked through the Financial Times’s Saturday magazine that the Cleo owls were featured on the Barometer Design page. Definitely a sign from The Universe. So, I hot-footed it back to Cleo to buy one but on this visit I spotted the Cleo penguins which I had missed earlier and I ended up buying a penguin instead of an owl. 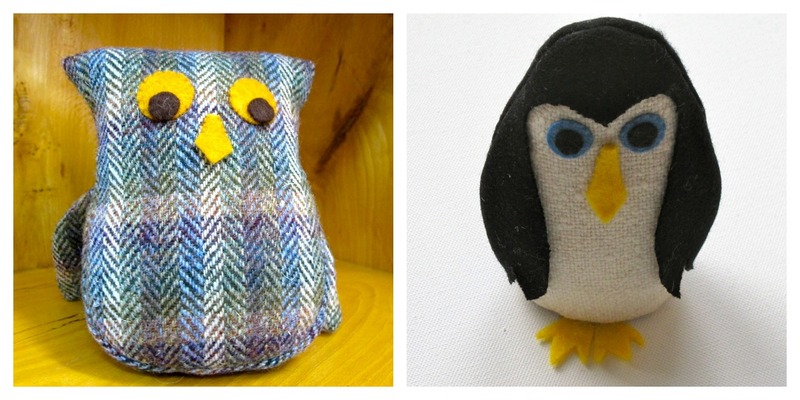 Both the penguins and the owls are handmade in Ireland from natural fabrics and are stuffed with wool. This week I wrote on the blog about going to see Living with Design an exhibition where well-known Irish design professionals had picked one beautifully designed object which had a special meaning for them. This got me wondering what I would pick if I had to select one special thing. 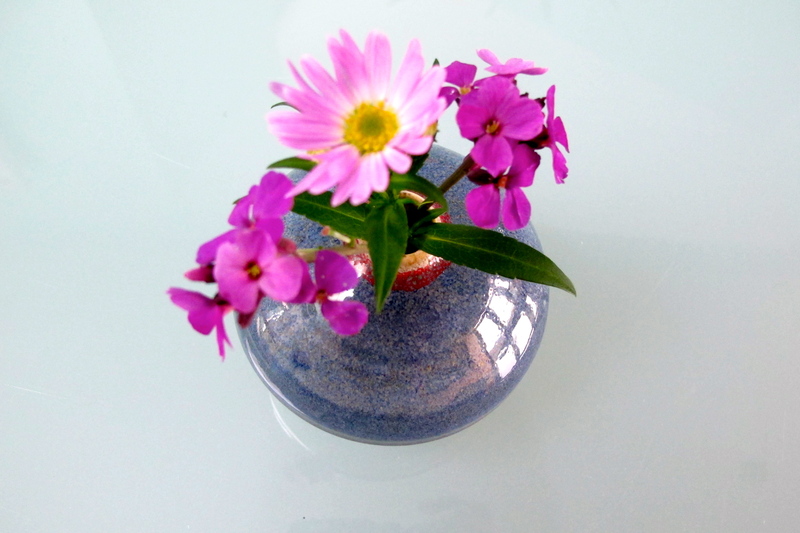 I think it would have to be the tiny pottery pot (by Geoffrey Healy Pottery) that you see in the image above. It is usually filled with a few flowers and I never tire of looking at it. It’s special because it lends a large air of good cheer and coziness to my kitchen table where it permanently resides. 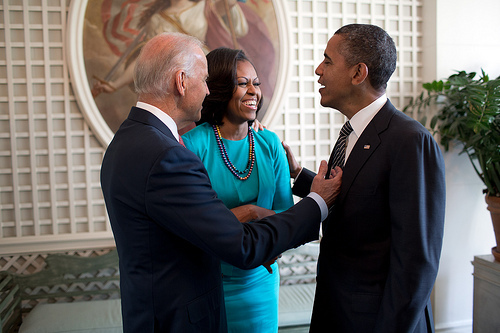 Note: The picture of President and Mrs Obama with Joe Biden is from the White House’s Flickr photostream. I like the way the Obama’s connect with each other. They seem to have genuine affection. I like the way the connect as well with each other and with their children. It’s hearth warming as it does seem totally genuine. He’s cute. He’s sitting on top of my wine rack at the moment – guarding it as I am on a heath kick for November which means no wine with my evening meal! Her dress and style remind me of Jackie, she’s just a classically beautiful woman, isn’t she? I love your little penguin.. owls seem to be everywhere these days, I wonder why?? Good luck with your rain, I’ll send some sun your way! !